Lady Antebellum was honored with the CMA’s International Artist Achievement Award, formerly the International Touring Artist Award during the trio’s press conference Monday (12/3) announcing LadyAID. The award, presented by CMA’s Steve Moore, recognizes outstanding achievement by a U.S.-based artist who contributes to the awareness and development of Country Music outside the U.S. 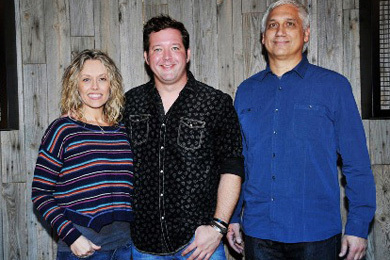 The “Need You Now” trio has performed in 11 countries with recognitions from the CCMA (Canada), Brit Awards (UK), CMC Music Awards (Australia) and Juno Awards (Canada). 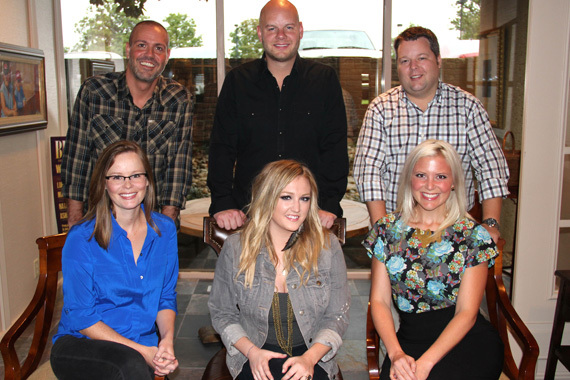 BMG Chrysalis Nashville has signed artist/writer Hailey Steele to an exclusive songwriter agreement. Steele is a cowriter on Raelynn’s upcoming Republic Nashville single, “Boyfriend,” and was a previous contestant on The Voice. The ACM welcomed Jason Sturgeon as a professional member of the organization. He visited the ACM offices recently during a trip to Los Angeles and performed current single, “Time Bomb.” Click here to watch a video of the visit.